Chief Minister of Goa Manohar Parrikar inaugurated the “Atal Setu” on the Mandovi river in Goa. It is a four-lane 5.1-km long cable-stayed bridge connects state capital Panaji with north Goa. River Mandovi, also known as Mahadayi or Mhadei river is regarded as the lifeline of Goa. It is the third Cable Bridge across river Mandovi in Panaji, Goa. The India Micro, Small, and Medium Enterprises Report 2018 has been released Kochi based Institute of Small Enterprises and Development at the South India MSME Summit 2019 in Bengaluru. According to it, MSMEs need radical reforms to solve its pressing problems and to utilize its potential. There is a need to address the issues relating to finance and taxation which the MSME associations have brought before the government. The Chief Minister of Odisha announced the Jiban Sampark project of Odisha for the welfare of the Particularly Vulnerable Tribal Groups at the annual Adivasi Mela-2019. The annual Adivasi Mela showcases the art, artefacts, culture, tradition, and music of the tribal community. The Jiban Sampark Project undertaken in association with UNICEF aims to generate awareness among Particularly Vulnerable Tribal Groups (PVTG) in Odisha. The first-ever International Day of Education was celebrated on 24 January 2019 as per the resolution passed by the United Nations General Assembly on December 3rd 2018 to celebrate the role of education in development. The day demonstrates the world’s political will towards providing quality education to all and achieving sustainable development by 2030. It is aimed at underscoring the fact that education is not only a fundamental right but also a necessity to achieve sustainable development. The Indonesian Masters Badminton Tournament 2019 is organized by the Badminton Association of Indonesia. It was the third tournament of the 2019 BWF World Tour. The winners are Women’s Singles: Saina Nehwal (India), Men’s Singles: Anders Antonsen (Denmark), Women’s Doubles: Misaki Matsutomo and Ayaka Takahashi (Japan)., Men’s Doubles: Marcus Fernaldi Gideon and Kevin Sanjaya Sukamuljo (Indonesia) and Mixed Doubles: Zheng Siwei and Huang Yaqiong (China). Australia celebrates 26th January as Australia Day which marks the landing of the First Fleet, a convoy of 11 ships carrying convicts, at Port Jackson in 1788. It also marks the founding of the colony New South Wales. It is being celebrated since 1946, January 26 with the public holiday. 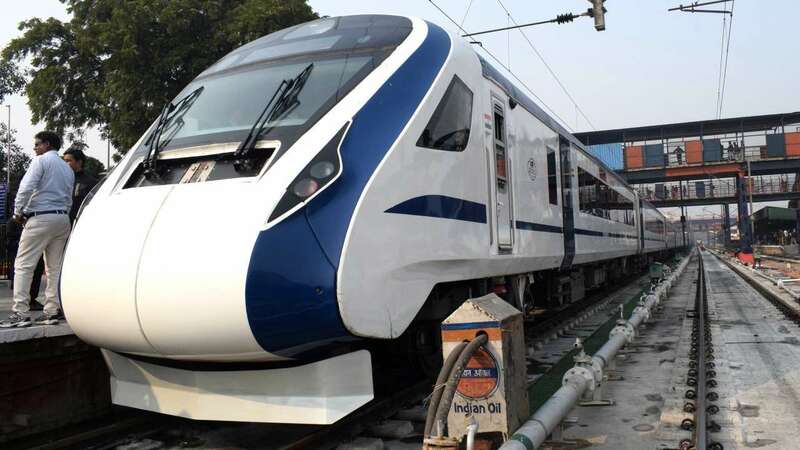 India’s fastest indigenous train, Train 18 named as Vande Bharat Express will ply between Delhi and Varanasi. Train 18 is an indigenously developed world-class train under Make in India. The 16-coach train has been built completely in India by Indian engineers in a span of 18 months at the Integral Coach Factory, Chennai. Vande Bharat Express is the energy efficient and the first locomotive-less train in the country and will be fully air-conditioned. The Ministry of Defence launched a mobile app ‘RDP India 2019’ on the Republic Day with the intent of making available the highlights of the Republic Day event to the general public all over the world. The app contained information about the Parade on Rajpath, New Delhi, including Order of the March, details of the tableaux presented by different States and Ministries, children cultural performances, fly past and names of recipients of Pradhan Mantri Rashtriya Bal Puraskar 2019. 1. Across which river Atal Setu cable bridge has been inaugurated? 2. Which state announced the Jiban Sampark project? 3. On which day International Day of Education was celebrated? 4. Who won the women’s singles in Indonesian Masters Badminton Tournament 2019? 5. On which day Australia celebrates Australia Day? 6. What is the name given to the India’s fastest indigenous train, Train 18? 7. Who launched the app ‘RDP India 2019’ on the Republic Day?